April 21. If you haven’t heard by now, it is the day that will forever go down in history as the day Google started including friendliness as an indicator in its rankings. Mobile-friendliness, that is. What exactly does it mean for your website? It means that your site needs to be optimized not only for visitors using desktops and laptops, but also for those viewing it with tablets, phablets and smartphones. Every page on your website must be designed for accurate viewing and functionality. If it’s not, your search rankings will drop significantly. 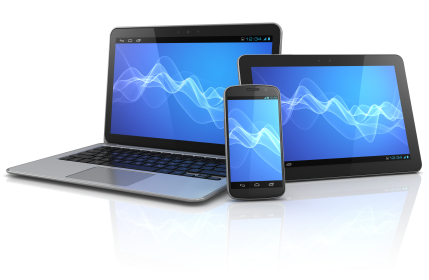 Is your site mobile responsive? Not sure? Try resizing your browser window when viewing your website from a desktop. Do the elements of the page respond as you narrow the screen? If they don’t and eventually the words fall off the side of the screen, your site is not responsive. What issues are you posing for mobile usability? Log into Google Webmaster Tools to identify potential problems. Don’t worry, there’s a little video to help answer questions you might have as you get started. Starting to panic? Don’t. Just breathe and schedule a meeting with your web developer – ASAP. Making your site mobile-friendly may not be a simple, quick fix, but it’s important. Without taking a step back and getting your site in order, your traffic could plummet by the end of the month. What would that do to your lead generation pipeline? Don’t let all the hard work you’ve put into keyword strategy, SEO and content marketing get crushed because your site isn’t welcoming to mobile visitors.